The shop is now furnished with dark ebony-style cabinetry. We’ve also accessorised with sumptuous velvets, a beautiful showcase for our wide range of products. Velvet, along with fur and taffeta, was a favourite of European aristocracy during the sixteenth century. It was quite hard to produce, and therefore expensive and luxurious. Similarly ebony was used to make luxury furniture for the wealthy, because it was finely-textured and has a very smooth finish when polished. 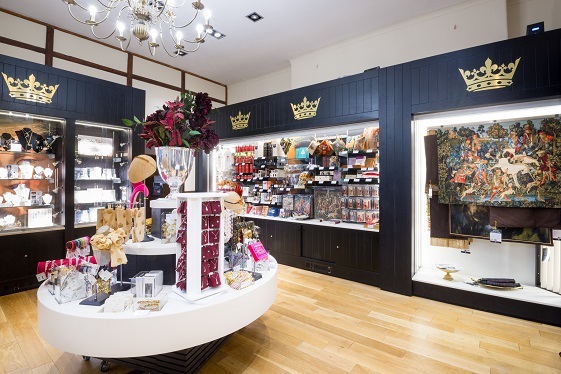 If you’re shopping here, you’ll find our products range from gold crown key rings to beautifully set sapphire rings. 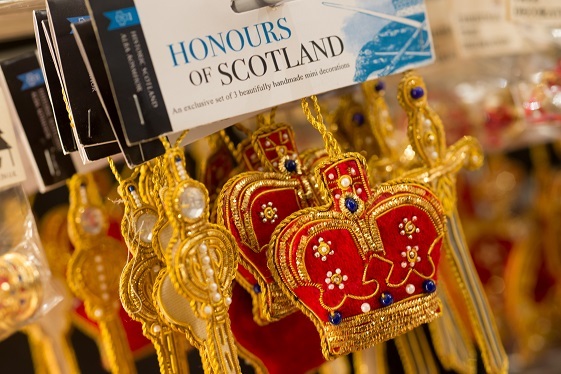 These depict the stones set in the Crown, part of the Honours of Scotland which are on display at the castle. The crown was first worn for the coronation of James V’s wife Mary of Guise in 1540, so has a long and illustrious history. 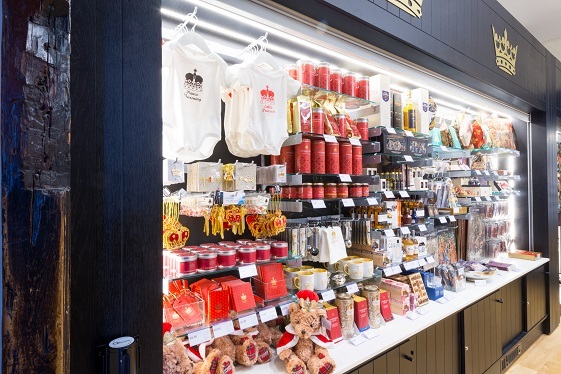 When you’re next visiting us here at the castle, make sure to stop by the Crown Gift Shop and have a nosey! But don’t worry if you can’t make it as far as Edinburgh. We also have our online shop where you can browse to your heart’s content, so you won’t miss out!